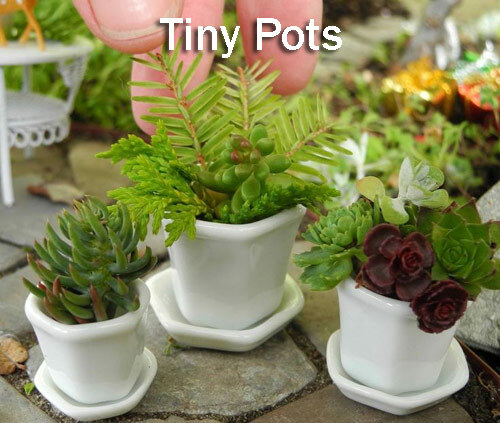 Every one loves tiny pots. Right now the rage is tiny homes, tiny cars, tiny pots...why not!!! Small garden containers are big on charm but quick to dry out. 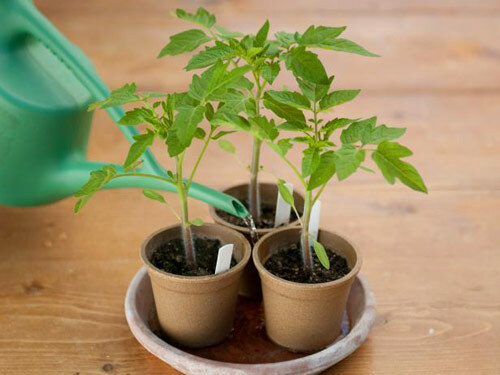 Keep your tiny pots in tip top shape by following these easy tips. 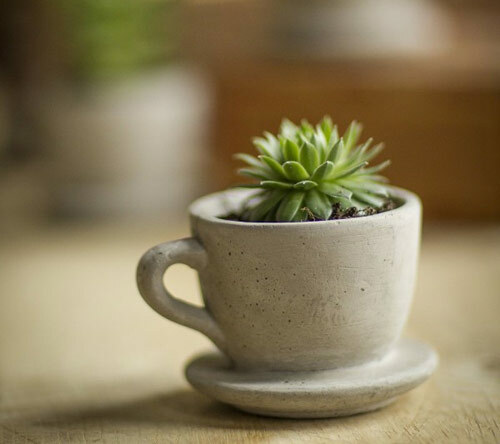 Place your tiny pot containers where you unwind in the evening or drink your morning coffee. That way you won't forget to water them. 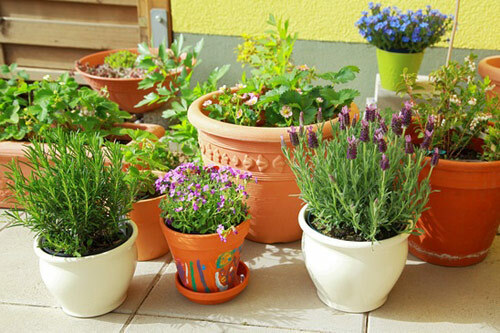 Group your small pots together for a big visual appeal and easy one stop watering. Try grouping them by color, style or type. All red pots, all terra-cotta planters, all colors of the rainbow. This is the time to get creative and playful. 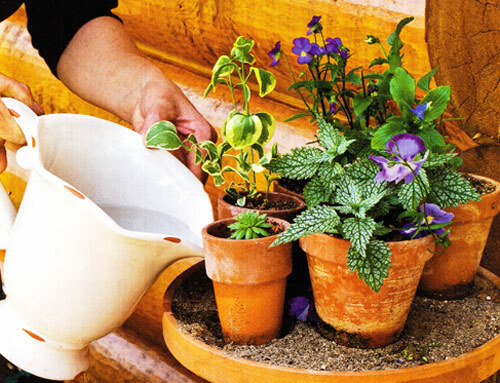 Fill your tiny pots with similar plants that have similar watering needs. All succulents, cactus, sedums....preferably drought hardy plants. Mix all greens or add a mix of colors to create a cohesive look. If you have room, top the potting soil with small pebbles. The rocks will keep the moisture in the soil from evaporating. Idea: top with colored rocks, small beads, small toys. Finally if you set your containers in a saucer of sand the sand will absorb excess drainage and then allow the pots to wick moisture back up as they dry out. Damp sand also makes great sipping stations for butterflies. So you get double the loveliness! We all love small decorative containers. If you just head the warning about watering you should be able to create some lovely and playful creations that will last a long time and bring smiles to everyone face.